The five Russian researchers where trapped for days in their small cabin at the remote Arctic island of Troynoy. The warm weather in the area is to blame, they say. Normally, there are 4-6 polar bears with permanent dwelling on the island. 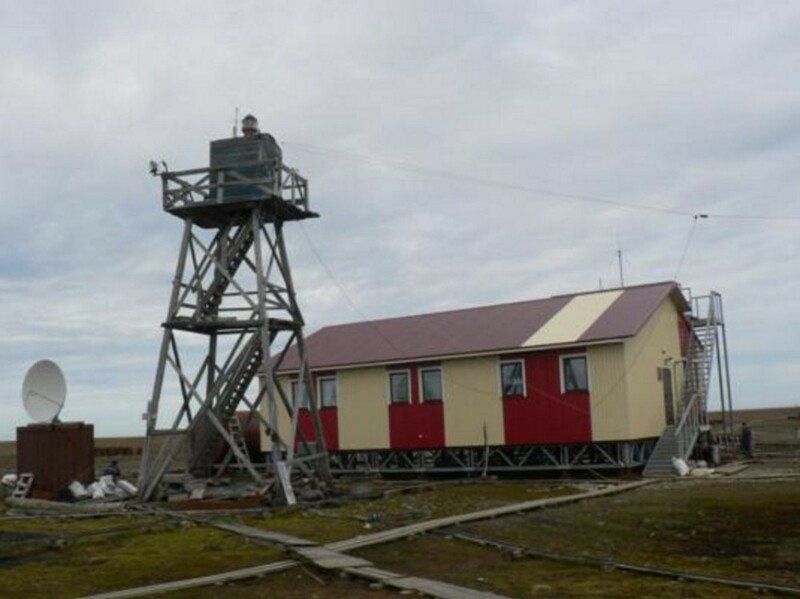 This year, however, the number increased to nine, and then the problems started, the researchers based at Troynoy, a meteorological station in the Kara Sea, say. It is connected with the warm summer, they argue. A starving she-bear with two cubs, as well as two other adult animals, started to hang around at the research station and became impossible to get away. The researchers used flares, sound sirens, rattle boxes and pyro devices to try to scare away the hungry bears. But nothing worked, the Federal Hydrometeorology and and Environmental Monitoring Service (Rosgidromet) informs. Only by using a tractor did the researchers manage to temporary get the bears on safe distance. The research station was under siege for days before a helicopter sent out from a vessel in the Kara Sea managed to scare the animals away. New supplies of deterrence materials were delivered to the station. The critical situation on the island made Minister of Natural Resources Sergey Donskoy issue an instruction to Rosgidromet leader Aleksandr Frolov to personally get the situation under control. According to the ministry, electrical wire fences will from now on be applied in several of the Russian Arctic stations. The island of Troynoy is located in the Kara Sea north of the settlement of Dikson. It is about 15 km long and 5 km wide. A meteorlogical research station has been on site since 1953. Encounters between humans and polar bears have become increasingly frequent as Russia is stepping up its presence in the Arctic archipelagos. In addition to the enhanced research activities in the area, the Russian Armed Forces are developing major military installations along the whole Arctic coast. At the same time, the polar bears are forced on land as the ice coverage in the region gets increasingly unstable following the warmer weather.